Image: “Dutch Roll” by Picascho, wikimedia commons. Transport contributes to the world economy, but also to the world’s environment. Economy and environment: how can these two factors be balanced? Economically, transport generates benefits. In the United States, 1 in 7 American workers holds a transport-related job, 60% of those in freight. In Europe, the auto industry contributes 12 million jobs; in Japan, 5 million. Transport pours $1 trillion into U.S. Gross Domestic Product (GDP) – 10% of the national economy. Virtually every product you touch, from kitchen to car, came to you via some form of transport. Over 90% of all the goods come thus serviced. Environmentally, perhaps falling victim to its own success, transport may demand rebuilding. For example, the car. Maybe it was too popular. City roads are now clogged with idling cars and trucks. Some traffic jams are so epic that one was made into a movie. In the film, the viewer sees a river of slow-moving shapes and colors—cars, buses, bicycles, trucks—stretching far, becoming a streaming horizon. Actors in the film? Revelers and relatives returning to Beijing after the Spring Festival. Such a scenario is not unique, nor just appearing on holidays. Cars are likewise a fact of life in Mexico City, where office buildings allocate 42 percent of the land they own to parking spaces. Employees who commute to jobs in the Mexico City district of Santa Fe spend the equivalent of 26 days per year stuck in commuter traffic—more than all national annual holidays combined. Some workers pay 20% of their salary just for gas. All those idling engines create smog. Did you ever wonder just what smog is? It is tiny bits of soot and metal, lumped together in the form of particulate matter, that spew into the air from cars and trucks. Perhaps this explains why children in Beijing and Mexico City, when asked to draw an outdoor scene depicted gray skies in their renderings. According to the Union of Concerned Scientists, transport is the biggest contributor to pollution in the United States, emitting over 50% of the carbon monoxide and nitrogen oxides, and 20% of climate-killing greenhouse gases. Despite these consequences, the United States—arguably the birthplace of the automobile—maintains enormous appetite for transport and mobility. Americans consume 25% of the world’s supply of petroleum; 70% of that amount is used for cars; there are 700 cars for every 1,000 people. China has 1.3 billion of the world’s 7 billion people, but only 100 million cars. The world reached the milestone of one billion cars on the road in 2010, but that number is projected to double by 2035. Transportation is not just about cars; it’s about roads. Transport is composed of two linked parts: Moving and supporting. It’s cars that move, but supported by roads. It’s trains, supported by tracks. It’s ships, supported by water. It’s planes, supported by air. It’s moving, and supporting. There may be two aspects of the transport system: moving and supporting. The moving part of transport – cars, trucks, trains, ships, planes – may be doing the most damage to the environment. It is here that effort is primarily concentrated. Electric cars are coming fast. And, while rebuilding the world’s cars, it may be a good time to consider the supporting structures of transport. For example, rebuilding roads to accommodate driverless cars in special lanes. How will roads, tracks, bridges, tubes, and tunnels shape the future? Ship, built in Glasgow, 1903. Image: State Library of Victoria, Malcolm Brodie Shipping Collection. Wikimedia Commons. Ships and sea-faring stories and discoveries are among the earliest records – the initial human migration may have been on foot, but targeted exploration was by water. Oceans crossed, waterways and canals signaled a new era, from the Grand Canal that transformed a region into a nation, to the Erie Canal that changed the American economy and created the power of an urban harbor connected inland through waterways. Cost and time of moving goods improved 95%. Can waterways prove effective in mitigating the effects of sea-rise? Bridges and arches were so important to city planning and security in ancient Rome that at one time only the pope, and a cadre of bishops, had the right to authorize a bridge. It is from this historic fossil that we get the word, pontiff: pons in Latin, meaning bridge) + facere, in Latin meaning to do, to make. Bridges have changed the future of cities. London Bridge may have been among the first shopping malls, with stalls along the span, improving the economics of city access. The Brooklyn Bridge created a link between New York and Brooklyn; the span was the subject of an epic poem by Hart Crane, “The Bridge“. Will bridges of the future employ new technologies that allow longer and wider spans? Meanwhile, how should older bridges, some crumbling and patched, be rebuilt? Are there economic and environmental aspects to be explored? Rama VIII Bridge at Night, Thailand. Image: wikimedia commons. Trains and railways: the Trans-Siberian and Canadian Pacific railways transformed continents into connected markets. Workforce expansion moved from the Navvies who build the Erie Canal to the field crews who crossed vast lands to connect the Transcontinental Railroad. “Orange Blossom Special,” a winter season ride from New York to Miami, 1939. Image: postcard, 1939. wikimedia commons. Trains remain an efficient and effective way to transport people and goods. China’s network of trains includes magnetic levitation; Japan’s high-speed trains reach speeds that leave the rest of the world in the dust. In the United States, Amtrak is a poor representation of what was once a world-leading system. Should there be a World Training Center, inspired by the cooperative vision of the Russian Railway Service Corps, where students and practitioners could learn the latest methods of train and hyper loop technologies, based on an international exchange program from leading train enterprises and governments? Vehicles stimulated the construction of highways and autobahns that criss-crossed the land to reframe commerce. There were about 660 million cars on the world’s roads in 2018. Individuals love personal transportation. Cities suffer as a result, with some charging fees for driving in the urban area. Smaller cars, electric cars, and motorized bicycles may join traditional autos on the road. Some cities are changing their taxi services, and competitors in the car-hilling sector abound. “Spectrum Patrol Car for TV Series Captain Scarlet and the Mysterons,” Wammes Waggel, 2007. wikimedia commons. Tracks, Roads, Tunnels, and Tubes make the going faster. Train tracks were carved, often by shovel and pick, across continents: the Golden Spike ceremoniously photographed the moment when the twain teams building the United States Transcontinental Railroad met in Utah. Traversing the country had once taken months; now, ten days. Trains were an instant success, and a unifying force in the young country. One can only ponder what business and friendships developed as travelers conversed in the dining cars. But soon, individuals zoomed in the new era of the car. Perhaps inspired by Germany’s Autobahn, seen when serving in Europe, Dwight D. Eisenhower upgraded cross-country travel after recalling an arduous coast to coast military convoy to which he’d been assigned as a young soldier. That journey took 62 days. A general in the military, Eisenhower thought about evacuation routes, considered wartime transport of munitions. Returning to become the American president, one of Eisenhower’s first actions was the authorization of a federal highway system. “North east Line tunnels, Singapore” Photographer: Calvin Teo, 2005. Image: wikimedia commons. Tunnels and tubes are a form of road, keeping transit within specified bounds that both contain and improve velocity. Tubes may be the expediting structures of the future, with hyper loop and related developments. The Channel Tunnel improved commerce and environment: will tunnel technology continue to explore emissions mitigation? Flight: Daedalus dared it but the first heavier-than-air powered flight from Kitty Hawk on 17 December 1903 (with acknowledgements to Alberto Santos-Dumont) changed the sky that within a century would become filled with props, jets, and solar wings. Air travel is beyond the purview of the Paris Agreement, COP 21, because airways are beyond national. However, industry standards can result in advances that will benefit the industry and the environment. 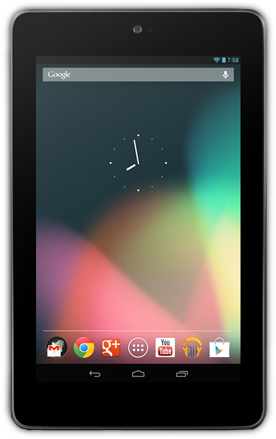 Nexus 7 by Android. Image: wikimedia commons. Will the Internet make it easier to reach global agreements, even while concerns emerge regarding control and net neutrality? The ancient Library of Alexandria may have found its future in Instagram; the Greek chorus in Twitter. Milman, Oliver. “First deal to curb aviation emissions agreed in landmark UN accord: Global scheme, agreed by 191 nations, applies to passenger and cargo flights that generate more than 1,000 tonnes of greenhouse gases annually.” The Guardian. 6 October 2016. https://www.theguardian.com/environment/2016/oct/06/aviation-emissions-agreement-united-nations/. Reuters. “Was the airplane’s inventor Brazilian?” 10 December 2013. http://edition.cnn.com/2003/TECH/ptech/12/10/brazil.sntosdumont.reut/. Accessed 7 January 2018. Umwelt Bundesamt, “Environmental costs in the energy and transport sectors.” August 2013. https://www.umweltbundesamt.de/sites/default/files/medien/378/publikationen/hgp_umweltkosten_en.pdf. McHugh, David and Geir Moulson. “Carmakers join forces in Europe to make electrics widespread.” Associated Press/Chicago Tribune, 5 November 2017. http://www.chicagotribune.com/business/sns-bc-eu-germany-electric-cars-20171103-story.html. The Grand Canal of China. Image: wikimedia. So begins the poem by Samuel Taylor Coleridge, suggesting that Kublai Khan, grandson of Ghengis Khan, was legendary for domes and what went on in them. It is notable that 8% of the males living in the area that once comprised the Mongolian empire (at the time, the largest in the world) are DNA-related to Ghengis Khan. Early among the now 16 million descendants was grandson, Kublai Khan. Besides being a builder of certain domes, Kublai founded a new dynasty in China, created a new capital, and completed the Grand Canal (begun dynasties earlier) to bring the internal waterway to Dadu. Today, we know it as Beijing. Kublai Khan, drawn by Anige, court artist. Image: wikimedia. Kublai Khan, sent by older sibling to what was then an outpost, China, did not take long to wrest power from a team of advisers and shape a new vision. Founding the Yuan Dynasty (1279-1368 ce), Kublai Khan directed that grain from the fertile south be transported northward to the newly-established capital: Dadu. The southern valleys of the Yangtze River were lush with water yielding abundant harvests. The system worked, for a while. Khan, and the new capital, received 816, 000 tons of grain annually. More than half – 537,000 – came from the southern valleys. Transport from the south to Dadu, however, proved difficult. For most of the way, grain could be floated from the south via the Grand Canal. But at a certain point, the canal stopped and the grain had to be lugged the final 20 miles (32 km) to Dadu, by local draft animals. Using local animals to pull carts of grain meant the absence of same beasts of burden from their habitual working environment: farms. Fields went fallow. Animals, unable to survive this kind of life, died on the route. Something had to be done. Khan solved the problem with a solution that may have shaped history. Mongol Empire in the days of the Khan. Image: Minneapolis Museum of Art. Wikimedia commons. With the addition of China, the empire extended from Eastern Europe to the Sea of Japan, from Siberia to India and Iran), the Mongol empire was the largest in the world, at that time. Kublai Khan became a macro thinker. Once a new dynasty and new capital established, communication became essential. It was before the telephone, even before the postal system. But there was one channel: the Grand Canal. The world’s oldest waterway is also the longest, far greater than Suez or Panama. At over 1,000 miles (1,795 km), the Grand Canal of China has 24 locks and 60 bridges. Building began in 486 bce and is still under construction, with the latest phase scheduled for completion in 2050. Extending the Grand Canal the final 20 miles, so that the world’s first internal waterway reached the new capital, Kublai Khan brought the nation together. In the process, Khan improved the Grand Canal, straightening the route and making the waterway more efficient. The Grand Canal is, in some ways, the history of China. Earliest endeavors to build an inland waterway were to avoid pirates on the external route. Then came the realization, by the Qin emperor who decreed additional sections of the channel, that with a connected means of communication, governance was possible in a way heretofore unknown. Administration and management of the large empire required a central means of communication. Until then, each area of the regions had a slightly different linguistic form. But the Qin emperor standardized the written form of Chinese, making it the official language. With language, came other shared standards. Another paradigm shift happened when the Grand Canal became open to private enterprise. Since then, the Grand Canal has been continuously and actively used, with improvements and upgrades as required by the changing times. In 2002, China decided to reverse the flow of the water in the Grand Canal by creating a south-to-north diversion, bringing water from the moist and agriculturally rich south to the more arid north. An estimate for the first phase: $22 billion, with the western route, largest of the three planned, costing $36 billion. The Grand Canal macro rebuilding may prove to be the largest project of its kind ever planned and undertaken. For a work begun in 486 bce, 2050 may set another record: longest continuous construction project in history. Why was, and is, the Grand Canal so consistently important? Some might say the world’s first major built waterway was the successful means of uniting a region into a nation.The liquid communication might be said to have been the Internet of its day. Grand Canal of China. Image: Wikimedia commons. Water is the leading edge of transport. Surely, the oceans were the means of exploring new territories, but it may be canals, dug and crafted on land to use the powers of water to float new ideas as well as new products, to which we owe the beginnings of commerce and connection. Ships on oceans and barges on rivers began exchange. Shipping continues to be the means of moving goods: 90% of all the products in the world get to us by ship. In this age of the automobile and the airplane, we may not personally travel much by boat, but our world does. What can be learned from the world’s first, longest, and most continuous transport success? Sharing Water: Internal waterways, or pipelines, may be an effective way to achieve an “ever-normal” water supply. The Grand Canal brings the moist benefits of the south to the dry north. Are there other areas of the world with moist and arid sections where a waterway might create balance? Straight: To be effective, the Grand Canal had to be rebuilt, straightened. The waterway is so long that it had to be built in sections, the last of which was accomplished by Kublai Khan. Once complete, the waterway was more efficient, and more effective. What existing infrastructure does the world have that could be significantly improved by rebuilding? Connection: China changed from a feudal region into a unified nation with central language and central vision because of a consistent connection. As China considers an engineering and technical building of the New Silk Road, with the Belt and Road Initiative, will there be a means of sharing a unified vision, perhaps dedicated to environment and inclusion? Could an educational exchange network parallel the interlinking of ports, railways, roads? Center of Power: In the instance of the Grand Canal, the capital brought the water to its door. In the case of the Erie Canal, many centuries later, the waterway made the capital, if not of government then of commerce. New York became a powerful port once the Erie Canal linked the city to the rich inland and made accessible now to the ports Manhattan and Brooklyn on the Atlantic. Can future capitals be linked to major routes of connection? Public/Private: At first, the Grand Canal was strictly for government use. And then, later private enterprise began to use the waterway. What opportunities for public/private developments might derive inspiration from the way China manages the Grand Canal. See appendix for laws, ancient and modern. Homeland Security: Before the Grand Canal offered an inland waterway that could be controlled, patrolled, and protected, China’s commerce was subject to piracy and plunder along a coastal route. When the Song Dynasty established a new capital at Hangzhou, the Yangtze River became like a giant moat of protection. Are internal waterways a means of security? Commerce: During the Qing Dynasty (1644-1912), the Grand Canal opened to commercial enterprise. It was an important expansion from the earlier government-only use. The Institute for Qing History of Renmin University might offer insights that will guide not only the future use of the Grand Canal but also the commercial policies of other waterways. Culture: The Grand Canal has inspired art since its inception. Early depictions are of the bridges. More recent art is a bridge of another sort. The southern terminus of the canal is home to a prominent art academy. It might be noted that some of the most successful macro engineering feats have an artistic expression. The Suez Canal begat Verdi’s Opera Aida, commissioned for the waterway’s opening. Itaipú, hydroelectric power giant straddling Brazil and Paraguay, inspired Philip Glass’s symphony of the same name; it means “singing stone” in the Guarani language. Should macro transport systems express values and culture through public art? Environment: China’s Wang Jing may extend the vision of the Grand Canal to Nicaragua. A new waterway vying for position to overtake the nearby Panama Canal, planned for five years and $50 billion but but other obstacles. Environmental concerns for the new supertanker channel involve one million acres of rainforest and possible contamination of Lake Nicaragua affecting drinking water and irrigation for most of the country. (Shaer 2014). What is the ideal size and use of an internal waterway? Will innovations be taken from Inland Waterways International’s World Canals 2019 Conference in Yangzhou? Gracie, Carrie. “Wang Jing: The man behind the Nicaragua canal project.” 18 March 2015. BBC News. http://www.bbc.com/news/world-asia-china-31936549/. Institute for Qing History. Renmin University. http://qss.ruc.edu/cn/. Mayell, Hilary. “Genghis Khan a Prolific Lover, DNA Data Implies.” 14 February 2003. National Geographic News. Shaer, Matthew. “A New Canal Through Central America Could Have Devastating Consequences.” December 2014. Smithsonian Magazine. https://www.smithsonianmag.com/science-nature/new-canal-though-central-america-could-have-devastatin-consequences-180953394/. Solomon, Steven. Water: The Epic Struggle for Wealth, Power, and Civilization. Chapter 5: “The Grand Canal and the Flourishing of Chinese Civilization.” HarperCollins, 2010. ISBN-13: 9780060548315; ISBN-10: 0060548312. The car is a great success—perhaps too great. Highways are clogged with vehicles Americans spent 8 billion hours stuck in traffic in 2015, about 42 hours per person annually, thus wasting a full work week. In Washington, D.C., commuters languish behind the wheel for more than 82 hours per year—the equivalent of two weeks on the job. American highway traffic jams result in the loss of $160 billion per year, according to the Texas Transportation Institute at Texas A&M University. This is not just an American problem; other locations are equally severe, or worse. China’s legendary Spring Festival/New Year in 2016 drew so many vehicles on the roads around Beijing that the resulting traffic jam was made into a movie. Most people consider an everyday commute of 30-40 minutes each way to be long enough. But for those living in Moscow, the daily one-way commute can range from 1.5 to 4 hours. Economist Matthias Sweet looked at 88 urban areas in the United States over the years 1993 to 2008, measuring traffic and business growth. Findings revealed that, initially, traffic is a good sign, but then it quickly becomes a deterrent and drag on the economy. The perfect measure of good traffic might be 35 delay hours per driver per year. That works out to about 4.5 minutes per day. Interestingly, no level of traffic density stopped business growth entirely. But when delays got too long, according to the Research and Innovative Technology Administration, National Transportation Library, one of the developing results was telecommuting. Badger, Emily. “How Traffic Congestion Affects Economic Growth.” 22 October 2013. CityLab. https://www.citylab.com/transportation;2013/10/how-traffic-congestion-impacts-economic-growth-7310/. Research and Innovative Technology Administration. “Transportation Implications of Telecommuting.” United States Department of Transportation. http://ntl.bts.gov/DOCS/telecommute.html. Street Accident: HK Cheung Sha Wan Night Street Accident Firefighters. Image: wikimedia commons. More than time is wasted: tragically, lives are lost. One person dies every 25 seconds in traffic accidents around the world, according to the World Health Organization (WHO). Addressing a combination of overcrowded roads, poor infrastructure, and regulatory problems, 90% of the world’s road traffic fatalities could be avoided. For example, WHO found that only 28 countries with just 7% of the world’s population have laws regarding the five main risk factors for traffic deaths: speeding, driving under the influence, lack of helmet, lack of seat belt, lack of child restraint. In a 2015 study, WHO reported that 1% of the world’s registered cars cause 16% of the world’s deaths; these cars are located in areas with poor road conditions, shaky infrastructure, and few regulations. Some areas of the world would yield the greatest improvement in traffic fatalities with attention to roads and related safety issues. In Africa, the chance of dying in a traffic accident is 26% per 100,000 people. Another vulnerable population: motorcyclists (23%), pedestrians (22%), and bicyclists (5%). It is notable that 77% percent of road fatalities happen among males. Worldwide, there are 17.4 road deaths per 100,000 people. In the United States, the figure rose with lower gas prices combined with dangerous texting while driving. In 2016, the National Safety Council reported a 6% increase from the previous year, which would mean a 14% rise since 2014 when deaths began to occur more frequently. It is not just death, however, but injuries that must be counted. In the United States, for example, in 2016, over 4 million people were victims. Many lost jobs , incurred medical expenses. There were property damage. Added up, traffic injuries cost $432 billion – per year. Would one of the answers to road dangers be autonomous vehicles? Korosec, Kirsten. “2016 Was the Deadliest Year on American Roads in Nearly a Decade.” Fortune. http://fortune.com/2017/02/15/traffic-deadliest-year/. World Health Organization (WHO). “Violence and Injury Prevention: WHO Report 2015: Data Tables.” Geneva: World Health Organization. www.who.int/violence_injury_prevention/road_safety_status/2015/GSRRS2015_data/en/. Human drivers are notoriously careless: driving while texting or talking, eating and drinking while at the wheel, driving drunk, speeding, switching lanes without signaling. Accidents and fatalities are sad result. It is intended and hoped that autonomous vehicles can improve safety and health. But self-driving cars hit a tragic problem in March 2018 when a vehicle, operated by Uber, struck a pedestrian in Tempe, a suburb of Phoenix, Arizona. The victim remained unconscious at the scene and died later in the hospital. The 49-year-old Elaine Herzberg crossed into a traffic lane, just 100 yards from a lighted, designated crosswalk. As a precaution, Uber suspended self-driving operations in Arizona (Phoenix), California (San Francisco), Canada (Toronto), Pittsburgh (Pennsylvania). Uber launched autonomous vehicle testing in Pittsburgh in 2016 with four Ford Fusion cars. While Arizona’s accident marked the first fatality involving a pedestrian killed by an autonomous vehicle, a previous death occurred when Joshua D Brown failed to notice a truck turning into the path of the car, a Tesla Model S operating in driverless mode. Subsequent investigation revealed Brown received eight speeding citations in six years. More troubling is the ethical question: given the inevitable, how should a self-driving car decide whether to favor passengers inside its vehicle or others outside who will be injured or killed in an impact that cannot be avoided? The United States Department of Transportation did not state more than “no consensus around acceptable ethical decision-making” had yet been reached. (Spangler, 2018). Sebastian Thurn, who turned to the design of self-driving cars after a childhood friend died in a car crash, suggested that autonomous cars will go for the smaller consequence. Tempe saw some accidents, but these were cars, not people. An Uber self-driving vehicle whacked another car in 2017, but the other driver was at fault. The Uber Volvo XC90 rolled over, jarring the Uber driver when a regular driver failed to yield at an intersection. While there were no serious injuries, Uber suspended the Arizona program, pending investigations that later confirmed the Uber vehicle was not at fault. Uber was at fault in a violation, earlier in California, but no accident occurred. An Uber self-driving car did not “see” a stoplight and drove through a crosswalk. California revoked Uber’s self-driving privileges. Shortly afterwards, Uber moved the program to Arizona. It’s one thing to engineer a driverless car, but another thing to test it. And testing is essential to success. And testing inevitably leads to failures, and resultant improvements. So, where could driverless cars be safely tested? In the United States, some states proved more willing than others. When California, home to the technology centers creating driverless vehicles, grew stringent, neighboring Arizona may have seen opportunity. Arizona began to allow cars without an attendant engineer/driver, although the fatal accident of March 2018 happened in a vehicle with a driver. Tempe, Arizona, suburb of Phoenix, offered a promising environment for testing: wide roads and notoriously dry weather. In 2015, Arizona opened a regulation-free zone, inviting Uber, Waymo, and Lyft, according to Arizona’s governor Doug Ducey, who used an executive order to allow testing. Initial operations were allowed with an attendant driver; later, the restriction lifted to allow completely autonomous cars on specific roads. In the United States, 60,000 people died in vehicular accidents in 1970. Seat belts and air bags whittled that down: in 2013, 32,719 fatal crashes claimed lives. It is estimated that driverless cars will be safer than humans who text, drink coffee, talk on the telephone, blast the radio, and sometimes drive drunk. Global fatalities number over 1 million annually. If self-driving cars prove viable, an estimated 1.5 million lives might be saved in the course of 50 years, just in the United States. Worldwide, lives saved could reach 50 million. Economist Special Report. “Self-driving cars will profoundly change the way people live.” 1 March 2018. https://www.economist.com/news/special-report/21737425-foreseen-and-unforeseen-consequences-self-driving-cars-will-profoundly-change-way/. Viewed 20 March 2018. Fitzpatrick, Alex. “Why the Tesla Crash Shouldn’t Put the Brakes on Driverless Cars.” 1 July 2016. Time. http://time.com/4391175/tesla-crash-autopilot-driverless-cars/. Viewed 20 March 2018. LaFrance, Adrienne. “Self-Driving Cars Could Save 300,000 Lives Per Decade in America: Automation on the roads could be the great public-health achievement of the 21st century.” The Atlantic. https://www.theatlantic.com/technology/archive/2015/self-driving-cars-could-save-300000-lives-per-decade-in-america/407956/. Viewed 20 March 2018. Spangler, Todd. “Self-driving cars programmed to decide who dies in a crash.” 23 November 2017. USA Today. https://www.usatoday.com/story/money/cars/2017/11/23/self-driving-cars-programmed-decide-who-dies-crash/891493001/. Viewed 20 March 2018. Countries with the greatest road network size rank (2017): United States, India, China, Brazil, Russia, Japan, Canada, France, South Africa, Australia. Africa may be on the list soon: the Trans-Africa Highway project could combine nine highways for a network stretching 35,221 miles (56,683 kilometers). Duddu, Praveen. “The world’s longest highways.” Road Traffic Technology. 3 November 2013. http://www.roadtraffic-technology.com/features/feature-the-worlds-longest-highways/. Food and Agriculture Organization of the United Nations/FAO. “Cost control in forest harvesting and road construction: estimating road construction unit costs.” http://www.fao.org.docrep/T0579E/t0579e06.htm. Sessions, J.B. Professor of Forest Engineering at the College of Forestry, Oregon State University, USA., “Cost control in forest harvesting and road construction: introduction.” http://www.fao.org.docrep/T0579E/t0579e01.htm#TopOfPage. Tunnels: Accident Prevention or Accident Peril? Tunnel Mutzig. Image: wikimedia commons. Some tunnels are death traps, never designed for high-speed, high-volume traffic. More modern tunnels, like the Channel Tunnel, might improve both velocity and safety through design innovations including a third service tunnel, to be used for maintenance and also evacuation in the case of accident. The third tunnel proved life-saving when a fire occurred mid-route, but the passengers were able to exit and walk to safety. Should tunnel design standards mandate parallel service/escape tubes? According to the United Nations Economic Commission for Europe (UNECE) in a study of tunnel safety for the European region there are four factors influencing safety in tunnels. The UNECE reported that it was not possible to take into account the accident in the Gotthard tunnel that occurred 24 October 2001; the investigating report by Swiss authorities would follow. The report did, however, consider the 1999 fires in the Mont Blanc and Tauern tunnels. In the case of the Mont Blanc Tunnel, a truck, carrying margarine and flour, elements used by bakeries, crashed. Intense heat from the exploding volatile ingredients baked the lives of 39 people. Motorists died while sitting in their cars worrying how to escape, while fire and resultant smoke choked the air captured in the tunnel. Just two month later, a truck collided with four smaller vehicles, smashing them into another truck that was filled with spray cans. The Tauern accident killed 8 people in the impact and another 4 who succumbed to smoke inhalation. The two accidents in the same year intensified the need for improving safety in tunnels. France and Germany immediately began inspections, tunnel by tunnel, resulting in new laws for safety checks. Three kinds of tunnels factored into the studies: tunnels under rivers in urban areas; tunnels in open countryside, tunnels through mountains. Breakdowns occurred most frequently in urban tunnels; fewest in open countryside. Troubles and accidents happened more on sloping terrain than flat stretches; gradients over 2.5% showed more than five times the number of breakdowns. Fires are the fear. Conflagrations resulted not from impact but from cargo, as demonstrated in the Mont Blanc and Tauern tunnel fatal accidents. Of the worst tunnel fires worldwide, 12 of 14 resulted from accidents (TRANS/AC.7/9, P. 17). Beyond fires, other tunnel hazards involve damage to the environment. The closer a tunnel is to groundwater or surface water, the more danger of polluting via road surface water collected by road drainage systems. With exploding cargo remaining a chief concern, the OECD and PIARC created five dangerous goods cargo groupings that could be agreed and recognized at an international level. Before authorizing transport of dangerous goods, a system dynamic decision support model, recommended by the commission, could run possible risk and action paths including finding alternative routes and itineraries. (Measure 1.07 “Regulations for dangerous goods transport.”) Moreover, drivers transporting dangerous goods must be trained, tested, and certified, with retesting every five years. United Nations Economic and Social Council, Economic Commission for Europe, Inland Transport Committee 10 December 2001, TRANS/AC.7/9. “Recommendations of the Group of Experts on Safety in Road Tunnels.” https://www.unece.org/fileadmis/DAM/trans/doc/2002/ac7/TRANS-AC7-09e.pdf. In this section, one may find examples of innovations that might address some of the problems now pressing the effectiveness of transport. It is hoped that innovations will give note and importance to inclusion. “Firebird II” General Motors, Concept Car 2007. Image: wikimedia. “As a boy, I loved cars. When I turned 18, I lost my best friend to a car accident. I decided I would dedicate my life to saving one million people every year. I can’t get my friend Harold back to life, but I can do something for all the people who died. Do you know driving accidents are the number one cause of death for young people? Do you realize that almost all of those are due to human error and not machine error, and can therefore be preventable by machines?” stated Sebastian Thrun, in TED Talk “Google’s Driverless Car” (2011). Driverless mobility may seem to be the future, and a $42 billion market by 2025 sounds promising, but the technology is not new. In 1927, the world’s first driverless railway wound beneath the streets of London, delivering mail to eight postal districts linked by 6.5 miles (10.5 km) of track from Paddington to Whitechapel. After years of reliable service, the railway was discontinued in 2003, but found a new career in retirement: tourism. Visitors to London’s Postal Museum, opened in 2017, can ride for 15 minutes along the ancient loop. Fast-forward, Google patents the driverless car. DARPA, (Defense Advanced Research Projects Agency), helped develop the Internet, later creating the DARPA Grand Challenge for autonomous ground vehicles. Prize money? $1 million. After the first event in 2004, the award doubled. By 2007, there were monetary rewards for first ($2 million), second ($1 million), and third ($500,00). Teams from universities, business organizations number 100 in the first year. Finding a safe spot, DARPA created a race track in the Mojave Desert: initially, no entrant finished the 150-mile (240 km) route. Next year, a few completed the course: Stanford, Carnegie Mellon, Gray Insurance Company, and Oshkosh Truck Corporation. In 2007, the competition launched the Urban Challenge: Tartan Racing won with a redesigned Chevy Tahoe, engineered by Carnegie Mellon, team captain: Chris Urmson, who succeeded Thrun at Google’s Driverless Car initiative. Urmson and team categorized urban driving problems into three main areas: road driving, intersection handling, and parking. Technologies for motion planning control road and parking. Perception sensors integrate data from radar, lidar, and vision to “track vehicles and model road shape and obstacle locations.” (Urmson, 2007). Google, Patent for Driverless Car: http://www.google.com/ptents/US8996224/. Society of Automotive Engineers. http://www.sae.org/org/misc/pdfs/automated_driving.pdf. Thru, Sebastian. “Google’s Driverless Car.” TED Talk, March 2011. https://www.ted.com/talks/sebastian_thrun_google_s_driverless_car/transcript?language-en. Nevada is gambling on the future. The state Department of Motor Vehicles and the Nevada legislature passed legislation that enables individuals to test and operate autonomous vehicles. Applicants require prior road testing of 10,000 miles, a well-outlined safety plan, and driver vetting. With this information, one can request an “Autonomous Vehicle Business License Application Packet–OBL 326.” To make driverless cars obvious to everyone on the road, license plates on those cars are red. According to research by Boston Consulting Group, the market for autonomous vehicles is sizable. In a survey of U.S. drivers, 44% said they would like to buy a driverless car. Beyond the U.S., Europe and Japan are also vibrant potential markets. It is estimated that the autonomous vehicle market will grow to a worldwide $42 billion by 2025 – and with it will come growth in related services, such as insurance, maintenance and repairs. Autonomous vehicles may be the fastest-growing form of personal transport in this century. Laws enacted regarding driverless cars in the United States go back to 2012 when both California and Florida enacted legislation that regulates the testing of such transport on state roads. Soon to follow may be actual permission to operate given to individuals with a valid driver license, for example, Florida House Bill 7027, making its way through the 2016 state legislature. Joining California and Florida between 2013 and 2016, were Michigan, Nevada, North Dakota, Tennessee, Utah, and Washington, D.C., each of which passed similar laws in various stages of definition. Each country will undoubtedly enact its own laws concerning autonomous cars and highway traffic. But is also the need for common standards. The United Nations established a forum, called WP.29, to harmonize regulations for vehicles. WP.29 appointed six working parties on issues such as pollution and energy, brakes, and public safety. Overall guidance builds on the six levels of automated driving issued by the Society for Automotive Engineers (SAE), and the UN’s Intelligent Transport Systems (ITS)/Automated Driving. Rolling towards the future: “Tire Wheel of Nissan LEAF.” Image: wikimedia commons. There are many innovators that are developing, testing, and perhaps bringing to market an array of autonomous vehicles. Who are the leaders? If you ask a banker, she or he might affirm that it is a market requiring considerable financing but it also offers enormous return on investment. Here are some top contenders as of 2017. The driverless (or should it be termed driver-free) vehicle market is developing so rapidly, that a printed book exploring the subject can only be an arrow pointing in a direction. With that admission, here are some directions and directors. Mercedes-Benz: The Mercedes S5000 Intelligent Drive went 100 km (62 miles) autonomously between Mannheim and Pforzheim, Germany in 2013. Two years later, Mercedes wowed the market at the Consumer Electronics Show in Las Vegas with its F015 Luxury in Motion. But it was not for sale—yet. Nissan: Testing in Atsugi, Japan and California using the LEAF, its electric vehicle. Audi: As a participant in the DARPA Grand Challenge, Audi achieved a milestone in 2015 by driving 901 km (560 mi) from Palo Alto, California to Las Vegas, Nevada, in a driverless car. Further, Delphi Automotive, an auto parts manufacturer, has been testing in California and Nevada on the Audi SQ5S. Bosch: Using a BMW chassis, Bosch has been testing in California, Michigan, and its native Germany. Not far from Carnegie Mellon, this center works on vehicle safety and mapping. In another collaborative effort, Uber partners with Carnegie Mellon’s National Robotics Engineering Center. Alberto Broggi, head of the lab, has 15 years of experience in driverless cars, with a notable success in 2013 navigating different terrains and traffic situations in Parma. Earlier, in 2010, Broggi and his team successfully accomplished a 13,000 km (8,078 mi) journey from Italy to China. Marco Polo undoubtedly would have approved. Paul Newman is the project leader for an autonomous vehicle called the Wildcat. Production includes localized participation in a pan-European effort to build a robotic pedestrian assistant. A joint-venture of Robosoft, a software specialist, and Ligier Group, manufacturer of vehicles. The vision is a driverless shuttle (EZ-10), in cooperation with Citymobil2. The alliance is focusing on urban mobility and “last-mile” transportation including the use of autonomous golf carts. The Future Urban Mobility/Singapore MIT began in 2010 with support from the Singapore National Foundation. Both passengers and freight are the focus. “The confluence of relevant developments: advances in computing, communications, and sensing technologies” are cited as the conditions making such research and development possible now. SimMobility is the platform on which factors such as commercial and human activities, land use, transportation, environmental impact, and energy use can be tested. Do you ride on a university campus shuttle? Look to Novus Drive, where research centers mounted on shuttles operate between schools and other locations. Deep Kapuria, chair of the company, took a campus shuttle numerous times when a student at Harvard Business School, which perhaps caused him to think about transport opportunities. Perhaps CEO Anuj Kapuria, when pursuing a Master’s degree in Robotics at Carnegie Mellon, or the managing director, Pranav Kapuria, with a black belt in Six Sigma manufacturing from Motorola University? Where do robots and cognition meet and work together? ETRI is pursuing an autonomous vehicle shuttle. Like so many others, the ETRI team credits the DARPA Grand Challenges that took place in 2004 and 2005 in the Mohave Desert. Then only five vehicles completed the course. Two years later, the Urban Challenge was held, and six teams finished, many of them from Stanford University. The authors of an ensuing paper credit DARPA’s competitions as the funnel through which a common configuration for autonomous vehicles was refined. So much is going on in China that it is difficult to pinpoint specific instances, according to some reports. Those who read China Daily note that the National University of Defence in Beijing, and the Military Transportation University in Tianjin, tested driverless prototypes in 2011 and 2012. In addition, National University worked with First Auto Works to develop commercial adaptations. Technology may be racing ahead of the legal and regulatory landscape through which autonomous vehicles zoom. Because the internet and wireless communication are central to driverless cars, there are cyber-security and privacy implications. Insurance and liability regulations may need retooling. In 2017, George Washington University Law School convened a conference on the legal aspects of autonomous vehicles. Autonomous Vehicles: worth $7 billion by 2050; environmental benefits, too. http://www.sae.org/misc/pdfs/automated_driving.pdf. Accessed 25 May 2016. European Robotic Pedestrian Assistant, service robots. http://europa.informatik.uni-freiburg.de/index.html. Accessed 20 June 2016. “ESTRO: Design and Development of Intelligent Autonomous Vehicle for Shuttle Servicein the ETRI” by Jaemiin Byun, Ki-in Na, Myungchan Noh, Joochan Sohn, and Sunghoon Kim: http://ppniv12.irccyn.ec-nantes.fr/paper/3jaemin%20Byun.pdf. “Driverless car market watch: Gearing up to save lives, reduce costs, resource consumption: Key Players.” (http://www.driverless-future.com/?page_id-155. Strohm, Mitch. “6 firms that are testing driverless cars.” bankrate.com, http://www.bankrate.com/finance/auto/companies-testing-driverless-cars-8.aspx. Wilson, David Gordon. “Palleted Automated Transportation – A View of Developments at the Massachusetts Institute of Technology.” IATSS Research 13, no. 1 (1989), pp. 53-59. “Driverless Cars will Be Part of a $7 Trillion Market by 2050.” Fortune. 3 June 2017. http://fortunecom/2017/06/03/autonomous-vehicles-market/. Highways are being transformed by autonomous vehicles. While short stretches of hinterlands may prove beneficial for testing grounds, such as sections of Nevada, increasing development of roads welcoming driverless cars and delivery trucks might change neighborhood and communities opting for the future. The Villages, Florida, signed an agreement to bring driverless cars to the large retirement community. Begun as a housing development for “snowbirds’ who might drive from northern locations, park their regular car in an attached garage, and switch to golf cart for local purposes, The Villages pledged to bring driverless vehicles to its thousands of residents. It was deemed a good match: many elders do not drive, for various reasons, but still need transport. Pan American Highway: 48,000 kilometers, 20 countries. Highway 1: 14,500 kilometers, Australia. Trans-Siberian Highway: 11,000 kilometers. St. Petersburgh to Vladivostok (with section AH6 spanning the Asian Highway Network) and another E30 coinciding with the European route through Kazakhstan. Trans-Canada Highway: 7,821 kiloeters. 10 Canadian provinces, links most major cities in Canada. Golden Quadrilateral Highway Network: 5,846 kilometers. India, connecting Delhi, Mumbai, Chennai, Kolkata. China National Highway 010: 5,700 kilometers. China. Could road networks of macro scope become the sites for advanced technology? Perhaps dedicating one or two lanes to palleted transport, or landscaping greenways on the shoulders of the world’s longest road routes would offer ways to advance speed, alleviate congestion and traffic, welcoming autonomous vehicles in designated lanes, could rebuild the road infrastructure in some of the world’s most popular routes. For example, many might state that Africa’s roads merit improvement and rebuilding. The Trans-African Highway Network has potential to lead the world. First, it would be beneficial to expand the links to those areas current not on the route. Then, once the road network is complete, perhaps with the means of a few bridges or tunnels, the highway could become the model of advanced transport. Familiar with the HOV lane? High-occupancy vehicles (HOVs) are cars with more than one driver. In many urban road systems with challenging traffic commutes, HOV lanes are opened during rush hours, as is the practice on Boston’s Central Artery. If two people in a fuel-driven car merit special expediting privileges, should not the same honor be bestowed upon electric vehicles? And should there also be a lane or two reserved for autonomous vehicles? Would the new Trans African Highway Network be equipped with charging stations, or even lighted by solar power installations? Perhaps a greenway would stretch along its shoulders, encouraging bikes, skates, and pedestrians too. Financing a totally rebuilt, retooled, and futuristic Trans African Highway Network is a considerable feat. But in part car manufacturers could help. In Europe, Ionity is a partnership of several auto makers building a charging station network along an existing European multi-country stretch. With charging stations every 75 miles, consumers will feel more confident about buying an electric car. It is a proposal that may merit exploration. Duddu, Praveen. “The world’s longest highways.” 3 November 2013. Road Traffic Technology. http://www.roadtraffic-technology.com/features/feature-the-worlds-longest-highways/. Demand for greener cars means green pastures for automakers. A 2014 survey of drivers on the road indicated that 44% would purchase autonomous vehicles. According to a Boston Consulting Group study, the autonomous car market is estimated to be $42 billion by 2025; by 2050, $7 trillion. “Malinda Tunnel” Corridor, Philippines. Photographer: Makisig, 2008. Image: wikimedia commons. Earliest tunnels were home improvement projects; cave dwellers appear to have used them to enlarge their living quarters. Ancient Babylonians were among the first to use tunnels for irrigation and secret passages: archeological evidence indicates a passage under the Euphrates River that might have connected a palace to a nearby temple. Tunnels reduce vehicular pollution. The Central Artery split the city of Boston, Massachusetts, creating a messy scar that ran from the North End to the South Shore. When it was successfully replaced by a system of tunnels, the environment benefitted in two ways: emissions were reduced, while a new surface greenway brought increased oxygen and recreation areas to the city. The Channel Tunnel between England and France (50.5 km/31.4 mi) provides considerable economic and environmental benefits. Even as the British GDP increases steadily each year as a result of simplified connections between the two countries, greenhouse gas emissions are being reduced, earning Eurotunnel the Carbon Trust Standard award in 2009. Tunnels do not eliminate harmful emissions, but they do confine and redistribute emissions through various means, including ventilation stacks. Advances in collecting and processing emissions may make tunnels the transport infrastructure of the future. Should there be a ‘tunnel vision’ award for using tunnels and tubes to channel environmental pollution? Not all tunnels are for cars or trains. Mexico City is home to the world’s largest wastewater tunnel: Tunel Emisor Oriente, which runs 62,500 meters (38.8 miles). The Qinling Tunnel, connecting the Han River to the Wei River in Shaanxi, China, is a water supply tunnel stretching 98,300 meters (61.1 miles), similar to the New York City water tunnel of 96,560 meters (60 miles). Both are in planning stages as of 2016 with expected openings in the early 2020s. Yet another kind of tunnel cannot be overlooked: those built to elude detection: drug-supply tunnels between the Mexico, the U.S., and Canada; Hamas tunnels between Palestine and Israel; tunnels carefully (and tediously) carved out to enable a prison escape; and military tunnels such as those from North Korea into South Korea, and the Cu Chi tunnels in Vietnam. Tunnels on land set the stage for greenways. According to the engineering firm Bechtel, a partner in the construction team, the so-called “Big Dig” involved 260 lane-kilometers (161 lane-miles), 50 percent of which was in tunnels, thus simultaneously reducing automotive pollution below ground and adding 300 acres of parks and greenery to the city’s landscape. Should there be a tunnel under the Pan American Highway where rights are already secured, improving regional connection while creating a greenway unequaled on earth? Even before Robert Goddard’s rockets, ideas for trains in tubes, with pneumatics, were proposed as a kind of super-subway for New York City—in 1870. Alfred Ely Beach experimented with a commuter train subway line using a very large pneumatic tube, similar to the tubes used in banks and department stores. More information and illustrations are available at New York’s Columbia University where the archive of the Beach Pneumatic Transit Company are managed by Joseph Brennan. The collection includes material on “atmospheric railways in England” linked to the work of George Medhurst and John Vallance. Once steam locomotion was invented, the atmospheric railways constructed around 1840 (two in Ireland and two in France) fell into disuse. But the idea lived on in the London and Croydon Railway that ran seven miles at 70 miles per hour. Another example was the South Devon Railway, operating between Exeter and Newton Abbot in 1847-1848, under the guidance of chief engineer Isambard Kingdom Brunel. Brunel’s father was the builder of the Thames Tunnel, and today, there is a Brunel lecture series at MIT, founded by Frank P. Davidson. Using hyperloop technology, or related earlier research, could an ocean be traversed? Could floating tubes serve as the support structure? Current success with tube travel such as the HyperLoop, suggests that tubes may be the ideal tunnels. At a meeting at MIT in 2007, professors and engineers met with American Land Consulting. It was there that Zhang Yaoping, from Southwest Jiaotong University in China, became involved in what he called “evolutionary transportation.” Zhang stated that tube-contained maglevs could possibly reach 193,000 kmph (120,000 mph). Daryl Oster, an American engineer, sold licenses for a patented evacuated tube transport (ETT) technology, and China purchased 12. Oster’s ET3 predicts speeds up to 4,000 mph are possible, making Musk’s Hyperloop seem slow. Could one travel for Los Angeles to New York in less than an hour? New York to Beijing in two hours? Oster says yes to both. In a perfect environment, lands where cities are separated by flat, dry terrain with only a few people and no freezing temperatures, top performance could be reached. A proposal for the “Concorde of the tunneling world” emerged in a competition organized by think-tank IPPR North, in Manchester, England. Extending Elon Musk’s Hyperloop idea, the train in this proposal would be an express run from Manchester to Manhattan. Simon Horton championed the idea of a train that would transit the Atlantic in four hours if a maximum speed could be sustained. If tunnel technologies continue to advance, perhaps an underwater transatlantic train will become a reality. It’s not a totally new idea. In 1935, Hollywood filmed a movie about an oceanic train; Arthur C. Clarke wrote about such conveyances in “The City and the Stars” in 1956. The Discovery Channel featured the concept for a TransAtlantic Tunnel in a series of “Extreme Engineering.” MIT professors Ernst G. Frankel and Frank P. Davidson designed a submerged oceanic tunnel for a supersonic train decades ago. The 4,000 miles-per-hour, magnetically levitated train would enable one to have lunch in Manhattan and arrive in time for the theatre in London—despite the time difference. Submerged floating tunnels may be in our future: some engineers state the buoyancy effect makes the structure both flexible and strong. Buoyancy Effect: Submerged Floating Tunnel. Image: wikimedia commons. Norway studied neutrally buoyant tunnels that could be submerged 150 to 300 feet beneath the ocean’s surface and anchored to the ocean floor. “From an engineering point of view, there are no serious stumbling blocks,” according to Frankel. For Davidson, a test case might mitigate concerns: “Maybe a tunnel across Lake Ontario would show how it reacts to dynamic conditions and give us a better understanding of the costs.” Estimates for the venture: US$88‒$175 billion. Recent opinions are strengthening the possibility of building tube trains in ocean environments. In a 2016 Forbes magazine, Bruce Dorminey updates the idea proposed by Frankel and Davidson. The train would carry 800 passengers, 80 per car, in ten cars or pods. Travel speed: 1200 mph. Cost: US$200 billion. But a US$12 billion test model of, say, a tube train running from Boston to New York, could be the test model. If successful, then a transatlantic version might be built. Other options: Malmo, Sweden to Hamburg (or Berlin) Germany; Rome, Italy to Nice, France; or Singapore to Hong Kong. “The World’s 18 Strangest Tunnels.” http://www.popularmechanics.com/technology/design/g266/4343590/?slide=10&thumbnails/. Stockebrand, Thomas. “The story of a model evacuated tunnel for the demonstration of high-speed transport.” pp. 225-230. In Tunneling and Underground Transport: Future Developments in Technology, Economics, and Policy. Frank P. Davidson, editor. New York: Elsevier, 1987, ISBN: 13-9780444011305. The well-documented problems of California traffic, and the cost of one possible solution, high-speed rail, prompted Elon Musk to design a magnetically levitated train running through a tube, called Hyperloop. Planning to transport passengers from Los Angeles to San Francisco, Musk’s design seeks improvements on three fronts: speed, sustainability, and economics. Speed could reach 1,287 kph (800 mph), delivering passengers in 30 minutes. Sustainability would be seen in reduced emissions and the use of solar power. Hyperloop. Illustration: C. Sanchez. Image: wikimedia. Hyperloop One built a 100-yard track in the desert and ran a test; a 5-mile test track soon followed. Funds came from, among others, GE Ventures, SNCF (the French national railway), a Russian joint venture between the government and private partner Summa Group. For Russia, such a concept might be one way to improve its aging transport infrastructure, still in use by 16 million people. There was also discussion of a transformative new Silk Road: a cargo hyperloop that whisks freight containers from China to Europe in a day. While some companies are focusing on city-to-city services, skyTran wants to use the same approach intracity. skyTran is a system first proposed by inventor Douglas Malewicki in 1990. Lightweight two-passenger vehicles suspended from elevated magnetic levitation tracks are expected to achieve 100 mph (160 km/h). Other ideas for hyperloop lines and services sprang up quickly after Musk posted his own design “white paper” online as open source. Hyperloop Technologies or Hyperloop One and its Hyperloop One Global Challenge mounted a competition “to identify and select locations around the world to develop and construct the world’s first hyperloop networks.” Case studies included a connection between Helsinki, Finland, and Stockholm, Sweden. Shervin Pishevar (Sherpa Capital) and Brogan BamBrogan are co-founders. Hyperloop Transportation Technologies was crowd-funded, and proposes routes such as Pittsburgh to Chicago (45 minutes), and New York to Washington (30 minutes). Musk’s SpaceX, where the idea was announced in 2013, is not affiliated with any of the Hyperloop companies. Instead, SpaceX launched the Hyperloop Pod Competition, calling for proposals and demonstrations by university students as well as independent entrants. Over 1,000 teams entered; 115 succeeded enough to participate, and 30 were invited back to compete. MIT’s Hyperloop Team was awarded best design in the early stage of the competition; teams from Delft, Virginia Tech, and University of California Irvine also placed highly. Musk spoke to the gathering at the Hyperloop Pod Award Ceremony on 30 January 2016. SpaceX also contributed land at its Hawthorne, California location to test winning pod designs. All SpaceX’s findings will be open-sourced. As Hyperloop One developed from idea and prototype to proposal for first operational system, locations around the globe were considered. In 2018, Hyperloop One stated that a system would be authorized, built, and initially transport cargo. Pan American Highway rights are already established; could the world’s longest highway accommodate transport such as Hyperloop? Image: wikimedia commons. In the long-term, would more extensive hyper loop and mag-lev tubal systems be designed for significant routes already established? 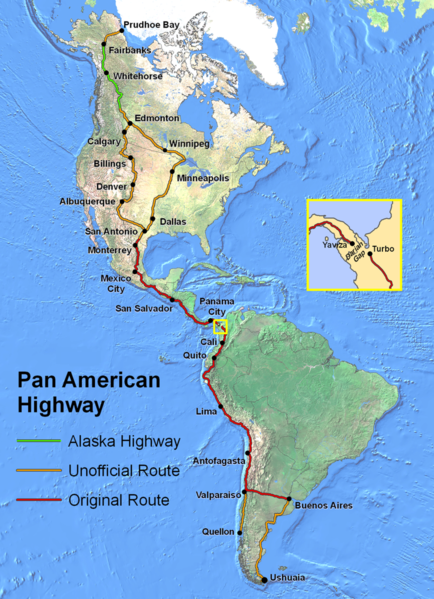 For example, the Pan American Highway: so, long that estimates vary between 30,000 and 48,000 kilometers (about 20,000 miles of connection) from Alaska to Argentina. As George Schultz, former United States Secretary of State and also former leader of Bechtel, observed, it is sometimes harder to get permissions than to build. In the case of the Pan American route, beginning with the Alaska Highway, permissions have already been obtained. Advantages of building an overhead system include a “fly-over” for the Darién Gap, a preserve that is the only spot on the regional expanse that does not have an existing road. Could the environmental prohibitions regarding the Darien Gap be respected by overhead transport? If so, the land beneath the system could become another kind of stretch, perhaps even the world’s longest greenway of cultural exchange. Mexico completed the first portion of the highway in 1950; will Mexico continue leadership in promoting the route’s update? Brennan, John. “Beach Pneumatic.” http://columbia.edu/~brennan/beach/chapter2.html. Davidson, Frank P. and Kathleen Lusk Brooke. Building the Future, Chapter 2: Transportation, p. 41. Griffiths, Sarah. 16 January 2015. “Forget the Hyperloop: Plan for vacuum tube travel between UK and the US unveiled – but is it just a pipe dream?” Daily Mail, MailOnline, http://www.dailymail.co.uk/sciencetech/article-2913214/Forget-Hyperloop-vacuum-tube-travel-UK-announced-just-pipe-dream.html. Harper, Mark. “New York to London in an hour – by train. On the return, leave the UK at noon, arrive in Manhattan 8 a.m the same day, U.S. firm is selling licenses to patented technology, China’s buying. All aboard the vacuum express!” 4 June 2012.ZDNet.com. http://www.zdnet.com/article/new-york-to-london-in-an-hour-by-train/. McKendrick, Joe. “It runs in tubes: the first high-speed rail, circa 1870.” 15 March 2010. ZDNet. http://www.zdnet.com/article/it-runs-in-tubes-the-first-high-speed-rail-circa-1870/. It’s not that long ago that William C. Brown flew a model helicopter by microwave power. Since 1964, electric aircraft have continued to evolve. Now Boeing, Jet Blue, and Zunum Aero plan to fly a 10-50 seat hybrid electric regional aircraft. One model may be a 19 seat craft that can go 700 miles (1,300 km) in range. Why did Boeing and Jet Blue take a bet on Zunum? Regional travel. As air travel grew in power to bigger planes, longer hauls, major hubs, regional aviation has suffered neglect. Average airliners used to be 20 seats in 1980; in 2018, 80 seats. Regional flights used to be frequent; now, reduced. Yet people continue to fly, while complaining about changing planes in overcrowded hubs. Every fifteen years, the number of fliers has doubled. in 1980, about 1 trillion to 2030 when that number is forecast to reach 13 trillion. Jet Blue wondered: is there a better, cheaper, cleaner way to fly a regional airline? Boeing thought so. The two funded Zunum. Will Zunum fulfill the dream of John Shaffer, Federal Aviation Administrator, who pledged: “We envision a short-haul system capable of operating from every runway and urban area V/STOL port in the United States and try comfortable in an environmental sense.” That was 1970. It took years of battery advances (NiCad, Solar Cell, Fuel Cell – to name a few generations of storage) to advance the goal within reach. We Fly There. Did you know there are 13,500 under-used airports in the United States? In Europe, 2,500. All Clear: Did you know that air traffic control systems are scheduled to be upgraded by 2022 with improved GPS flight paths, onboard ADS-B. Some of the systems: OpenSky of Australia; SESAR in the European Union; NextGen in the USA. Car to Plane Charging Networks: Electric cars are driving the market towards more charging stations. The technology is already developed, and rapidly advancing. From current charging technologies, it may be a good time to build airport charging stations: for cars, and for aircraft. Roger for Take Off: In the United States, home to Zulum’s headquarters as well as those of Boeing and Jet Blue, electric aircraft certification is stated in Federal Aviation Administration Part 23, planned since 2014. Zunum/Boeing may compete with regional leaders Embraer and Bombardier. The Brazilian and Canadian powerhouses build regional jets that command the Americas. And with a tradition that goes back to the Wright Brothers; Short Brothers, Belfast-based builder of the first plane flown by Orville and Wilbur and countless Royal Air Force aircraft since, joined Bombardier, in part to design and manufacture the regional jet. But these regional lines that fly routes like Detroit to Grand Rapids, Houston to Oaxaca, are using jet fuel. Market competition from electric air services may be cost competitive and environmentally preferred. Meanwhile, the electric aircraft market is developing worldwide. Zunum notes there are many suitable airports that are underused worldwide. The air may soon be filled with silent wings: Zunum means “Hummingbird,” in Mayan. Brown, W.C., J.R. Mims, N.I. Heenan. “An experimental microwave-powered helicopter.” IRE International Convention Record, Volume 13. DOI: 10.1109/IRECON:1965.1147518. Source: IEEE Xplore. https://www.researchgate.net/publication/3986151_An_experimental-microwave-powered-helicopter/. Litwin, George H., John J. Bray, Kathleen Lusk Brooke. Mobilizing the Organization: Bringing Strategy to Life. London: Prentice Hall, 1996. “Our Charge: Technology + Aircraft.” Zunum Aero. http://zunum.aero/our-charge/. Solar Impulse 2 successfully completed a flight circling the globe without using a drop of fuel. The trip required 17 legs, ending where it began: Abu Dhabi. On 26 July 2016, the airfield welcomed Solar Impulse 2 partners AndréBorschberg and Bertrand Piccard. The two took turns piloting the plane during the historic 26,744 mile (40,000 km) achievement. The aircraft holds only one person. The pilot sleeps 20 minutes at a time. That leaves plenty of time for reflection. “When I was flying around the world in my solar airplane, I remember looking at the sun that was giving energy to my four electric motors and their huge propellers. There was no noise, no pollution, no fuel…and I could fly forever. At a certain moment I thought ‘this is science fiction, I’m in the future.’ And then I realized, ‘no, it’s wrong, I’m in the present; this is what the technologies of today already allow me to do. It’s the rest of the world that is in the past, with old and inefficient devices.“- Bertrand Piccard. “The 5-day-and-night flight over the Pacific, from Japan to Hawaii, was the longest and most difficult leg of the Round-The-World. Both for the engineers who had been working to achieve this goal: a success would mean they’d have done their job properly, but a failure…? And for the pilot: each day I climbed the equivalent altitude of Mount Everest, without much rest, and had to pilot SI2 with the help of the Monaco Mission Control Center. So everybody was extremely tense, especially after having waited for two months to find the right weather window. It was also the first oceanic crossing accomplished by a solar airplane, so you can imagine how exhilarated I felt when I landed in Hawaii It validated the vision Bertrand had after his round-the-world balloon flight to reach unlimited endurance in an airplane without fuel. And we broke four world records: that of distance along a course, straight distance, duration for solar aviation, and that of longest solo flight ever.” – André Borschberg. Solar Impulse Foundation launched the World Alliance for Efficient Solutions. Focus? Selecting 1000 solutions to protect the environment in a profitable way. The outcome? identifying actionable projects for developing, financing, and promoting processes, products, services, and technologies. The audience? governments, businesses, and institutions gathered for COP 24, December 2018, Poland. Brooke, Kathleen Lusk. “Here Comes the Sun.” 27 July 2016. Building The World Blog. http://blogs.umb.edu/buildingtheworld/2016/07/27/here-comes-the-sun/. Air India Express lands at Cochin Airport, the world’s first solar-powered airport. Airports and runways are, by definition, open areas that may prove ideal for solar power. Cochin, India, is the site of the world’s first solar-powered airport. Welcoming 1,000 flights per day, the facility cost $9.5 million to build, and benefits the environment as much as planting 3 million trees. Prime Minister Narenda Modi announced a national goal of generating 100,000 megawatts by 2022: most parts of the land of the Taj Mahal receive 300 days of sunshine per year. The Cochin model is the first solar-powered airport, but not the last. South Africa debuted, in 2016, the continent’s first solar-powered airport: George Airport (midway between Cape Town and Port Elizabeth) built a 200 square meter solar power plant on the field that will power over 40% of the airport. It was a trend: one year later, seven airfield powered by the sun launched by Airports Company South Africa (ACSA). Joining George Airport, Upington and Kimberley came online; Port Elizabeth International, East London, and Bram Fischer International slated to open in 2017. ASCA declared a plan to achieve carbon neutrality by 2015. In the United States, San Diego International Airport installed a 5.5-MWp solar PV system to generate 10% of the airport’s power. If 500 airports in the United States built solar power, the energy gain would be enough to power 750,000 homes. Some U.S. airports opened in Florida, Massachusetts, and Minnesota, as a result. Meanwhile, India continues. Bangalore’s Kempeowda International Airport launched plans to generate 40% of its electricity from solar, offsetting 17,000 tones of carbon dioxide. Most people, when thinking about aviation and environment, associate airplanes with emissions. But airports hum with electricity: from runway lighting, to air-conditioning or heating of terminals. Some airports can be likened to a small city: it’s an apt comparison because an airport can consume about the same amount as 50,000 households. India now plans to expand Cochin’s success beyond Bangalore to 16 airports. Meanwhile, Cochin not only achieved the record of the world’s first totally solar powered airport, the facility produced extra energy, paying back power to the grid. HowAfrica.com. “George Airport in South Africa is Africa’s First and Only Regional Solar-Powered Airport.” 29 February 2016. http://howafrica.com/a-first-for-africa-solar-powered-airport/. Krishna, Deepak Sriram and Carrie Dellesky. “Bangalore’s Airport to Become a Leader in Solar Energy Production.” 27 September 2016. WRI Ross Center for Sustainable Cities’ Sustainable and Livable Cities Initiative. World Resources Institute. http://www.wri.org/blog/2016/09/bangalores-airport-become-leader-solar-energy-production. Menon, Supriya. “How is the world’s first solar powered airport faring?” 9 October 2015. BBC News. http://www.bbc.com/news/world/asia-india-34421419. Strong, Zolaikha. “Solar-Powered Airports Are Taking Off Worldwide.” 3 October 2016. Renewable Energy World. http://www.renewableenergyworld.com/articles/2016/10/solar-powered-airports-are-taking-off-worldwide.html. Every era of civilization might be characterized by its predominant mode of transport; perhaps the Internet is the road of our time. ASCII. Now, there may be a new fast lane: 5G. Three decades after COMSAT launched satellites, AT&T began developing an industry standard for interoperability of wireless communication with partner Nortell. As a result, GSM became the standard. Today’s interoperability certification is TETRA. The result? Driverless cars, smarter cities. Should the United States Federal Highway Interstate System open a tetra lane for autonomous vehicles? The Critical Communications Association (TCCA), coordinating public safety and disaster response, might suggest that, next to the tetra lane, a sportsway could provide charging stations, segway paths, bikeways, and walking routes. Every generation of connectivity is significant, but 5G may be not a step but a leap. Because although all the gens increased speed, 5G closes the gap. Closes the time delay between noting an occurrence and related intended reaction. As in, the car in front of you suddenly stops, and you notice it immediately, and respond by braking. But if you were distracted, just that split second from when it happens to when you notice it, that’s almost everything. Closing that gap: that’s what 5G is. As much as 100 times faster than 4G, the new speed and breadth of G connectivity will make all manner of things faster, from robotic surgery to virtual reality. Instant takes time. The first idea for 5G happened in April 2008 when NASA and Machine-to-Machine Intelligence (m2mi) partnered. It was termed by some to be the “commercialization of space.” The Memorandum of Understanding was only the third in NASA’s history. The stated goals included: “Under the agreement, NASA and m2mi will cooperate to develop a fifth generation telecommunications and networking system for internet protocol-based and related services. The cooperative effort will combine NASA’s expertise in nano sensors, wireless networks, and nano satellite technologies with m2mi’s unique capabilities in software technology, sensors, global system awareness, adaptive control and commercialization capabilities. Fifth Generation, of 5G, incorporates Voice Over Internet Protocol, video, data, wireless, and an integrated machine-to-machine intelligence layer, or m2mi, for seamless information exchange and use.” In December 2017, 5G became officially approved by the 3GPP international wireless consortium. Next step in review: United Nations’ International Telecommunications Union, in 2019. Once thus certified for interoperability, wireless products engineered to perform on 5G networks will work universally. It is a calendar coincidence that the next leap year is 2020 – that’s when 5G is predicted to be on line. AT&T (NYSE: T) “We expect future 5G technology will eventually allow driverless vehicles to make real-time decisions based on information that got beyond the individual sensors onboard the vehicle itself. Vehicles will be able to ‘see’ around corners, through other vehicles, and at longer distances.” – ATT, 4 January 2018. http://about.att.com/att_to_launch_mobile_5g_in_2018.html. Sprint (NYSE: S) working with Qualcomm and SoftBank, will just follow AT&T by a few months, rolling out 5G in test markets even before the standard is completely linked. Taking advantage of its unused spectrum, the network has an asset and the rest may be just cash. Will Japan’s Softbank prove a valuable partner? Another partner is Altice, a cable company. T-Mobile (NASDAQ:TMUS) Top bidder in April 2017 FCC Spectrum Auction. Verizon, (NYSE: VZ), working with Cisco and Samsung, launched a trial in Ann Arbor, Michigan. Qualcomm (NASDQU: QCOM) helped to develop the 3G CDMA standard, as well as the 4G LTE, holding the intellectual properties. Qualcomm’s market capitalization is $80 billion. China Mobile Ltd. (NYSE: CHI). Building 10,000 basestations by 2020. Cisco (NASDAQ: CSCO) “The Cisco 5G Strategy Series: Packet Core, Transport, and Identity Management.” White Paper: read here. Samsung (NASDAQ: SSNLF) Download Samsung’s 5G vision here. Ericsson (NASDAQ: ERIC), or perhaps known as Telefonaktiebolget LM, Swedish leader in telecommunications with a market capitalization of $26 billion, is working with AT&T, China Mobile Ltd., and SK Telecom Company Ltd. Areas developed for initial 5G network testing include Japan, South Korea, Sweden, United States. Huawei (XSHE) “Human history is a history of connections. The pursuit of communication promotes the development of connections, and the development of connections promotes the development of society.” Edward Deng, President, Huawei Wireless Solution. SK Telecom Company Ltd. (NYSE: SKM). Fronthaul specification sets a new standard. NTT Docomo (NYSE: DCM). Download the vision, in a white paper that includes specs and requirements, here. Deutsche Telekom AG (OTC: DTEGY) Working with Hamburg Port Authority and Nokia to create the future of urban harbors and industrial ports. Intel (NASDAQ: INTC) Download Intel’s strategy for 5G here. LG (KRX). Working with Qualcomm on vehicle-to-everything connectivity. Nokia (NYSE: NOK) has a market capitalization of $32 billion. Ongoing research partners are Verizon, China Mobile, SK Telecom, Deutsche Telekom, and NTT Docomo. The approach will “layer” 5G on existing 4G. Capability increased when Nokia acquired a 91.8% ownership in Alcatel Lucent S.A. (ALU.PA), linking France into the circle where Alcatel developed an advanced 5G program. Crown Castle (NYSE: CCI). 5G requires lots of cell towers, Crown Castle’s specialty. DataBank. (www.databank.com) Dallas-based company, affiliated with Digital Bridge, builds micro data centers installed at the base of existing towers. Vertical Bridge (www.verticalbridge.com) Specialty: in-building wireless connectivity. Why all the money and all the players? Data may be the macro market of the century. For example, an autonomous car may require 4,000 gigabytes per DAY. And cars are just a very small part of 5G machine to machine connectivity. Smarter cities where roads are networked, vehicles are electric and autonomous, taxis stop at a safe portal and display your name in greeting from tellytubby type display atop the taxi. Estimates predict that such taxis will be slow, but safe, and that smart taxis will cost a fraction of the former driver fare; drivers account for over 50% of a taxi fare. Driverless taxis – safer and cheaper. Beyond cars and roads, 5G will affect all systems. For example, smarter cities can have water systems that detect their own leaks and send a message describing exactly where to fix the pipe, saving hours of exploration and also saving lots of water. A significant percentage of potable treasure is lost through leakage. Smart water systems, like that tested by IBM in Texas, improved water sustainability. An earlier version of pipeline feedback? Alaska pipeline’s smart pigs. Not only roads and water, but energy and electricity will be smarter, making it possible to respond to changing sources of energy. Whole cities will be smarter, from houses to hospitals to businesses to schools: perhaps the arts will be more present to us in ways we may not yet imagine. Meanwhile, some question privacy implications of 5G environments where your every move is tabulated. Here is the Privacy Statement of Sidewalk Labs. What other aspects should be included in future versions? Other projects of a smarter city within a city could include Boston’s Greenway. Here, a chance to explore the interactions of a double layer of urban environments: vehicle transport underneath in an urban tunnel while atop is walking greenway with fountains and bike paths and gardens adjoining cafes, residences, and businesses. Or Chicago’s Millennium Park where a greenway graced with art tops former train yards. A test model of 5G life and tech may preview at the 2018 PyeongChang Olympics, the world’s first 5G pilot service using 28 GHz, allowing real-time athlete view. Not just instant replay. Instant. Inventors and developers of 5G may suggest that we think of 5G as information infrastructure, feedback lines and intersections of systems in an environment, be it a road system, or an entire city. Will 5G facilitate next steps for cities, perhaps even cities in space? alexarchou. “5G & Edge Computing: Who’s who” When’s when?” 29 September 2017. Mutable.io. https://blog.mutable.io/5g-edge-computing-whos-who-when-s-when-1ca6276dd72a/. ATT, 4 January 2018. “Mobile 5G Services to Become Reality for Consumers and Businesses This Year in a Dozen Cities.” http://about.att.com/att_to_launch_mobile_5g_in_2018.html. Bloomberg. “Company Overview of Vertical Bridge, LLC.” 2 February 2018. https://www.bloomberg.com/research/stocks/private/snapshot.asp. Fingas, Jon. “Spring will launch its 5G network in late 2019.” 10 May 2017. engadget. https://www.engadget.com/2017/05/10/spring-plans-5g-network-in-2019/. Mills, Chris. “This is how Sprint is planning to improve its cell service next year.” 13 January 2018. BGR. http://bgr.com/2018/01/13/sprint-network-vs-verizon-t-mobile-2018/. The Grand Canal may seem like ancient history, and begun in 496 bce, it certainly qualifies. In fact, the Chinese waterway, now a World Heritage Site, may be a relic, but “it’s a living relic,” as described by an expert from China’s State Bureau of Cultural Heritage, Luo Zhewen. The Grand Canal is active and improving. Over 100,000 ships carry 260 million tons of goods each year. That’s three times the amount carried by the railway from Shanghai to Beijing (Lague, 2007). The latest construction improvement of the waterway will increase traffic yield by 40%. China may have a unique opportunity to embody UNESCO’s vision, and lead the world in achieving cleaner oceans. In 2017, the Helmholtz Center for Environmental Research (UFZ) conducted a study of 57 rivers caring plastic debris into the world’s oceans. The Yangtze River was number one, dumping 727 million pounds of plastic into the sea. The Yellow and Hai Rivers – also part of the Grand Canal – were in the top ten polluters. Christian Schmidt, study leader, observed that action taken in the top ten rivers carrying plastic into the ocean would reduce the problem by 50%. With the alarming fact that if nothing is done, by 2050, there will be more plastic in the ocean than fish, the Grand Canal could address this problem. Economy and Environment: the Grand Canal has a chance to lead in both areas, showing how canal transport infrastructure can both generate economic benefits (dredging of key sections may increase shipping yield by 40% and the South-North Water Transfer Project may bring water to reservoirs near Tianjin) but also address the critical effort to reduce plastic pollution in the oceans. The United Nations Communities of Ocean Action, empowering achievement of Sustainable Development Goal 14, may find common goals with Ningbo (formerly known as Mingzhou) It was a city on the ancient maritime silk road. It was a logical choice for strategic location: in the middle of China’s coast, on an estuary that is part of the Grand Canal. It was from Ningbo, in April 2017, that Merchant Vessel (M.V.) COSCO Netherlands departed Ningbo Zhoushan Port for a 40-day voyage from China to Europe, retracing the route of the ancient Maritime Silk Road. 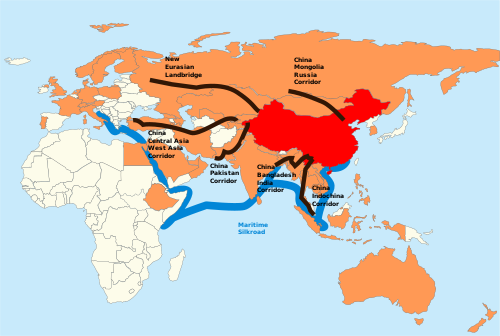 It was just four years since China proposed Silk Road 2.0; the 2013 new Maritime Silk Road (MSRI) is part of China’s singular Belt and Road Initiative and Martime Silk Road. China’s Maritime Silk Road proposed route involves the South China Sea, Indian Ocean, Pacific Ocean, and Arctic Ocean. Other canals may follow suit. For example, the Kachhi Canal Project, in Punjab, Pakistan. Besides irrigation 72,000 acres of agriculture in Baluchistan, the new canal opened in 2017. Kacchi Canal starts at Taunsa Barrage at the Indus River – also one of the top ten rivers on the plastic watch list. The canal passes through Muzaffargarh, Dera Ghazi Khan, Rajapur in Punjab, and then through Dera Bugti, Maseerabad, Bolan, and Jhai Magsi in Baloschistan. Water for drinking and agriculture were the goal of the canal that would “change the destiny” of the area, as Prime Minister Shahid Khaqan Abbasi states (Arifeen 2017). What about the Erie Canal, the Hudson River, and the Atlantic Ocean? New York City generates a fair share of the world’s plastic: consider the amount of take-out containers on any given day during a Wall Street lunch hour. The Erie Canal observed and celebrated the 200th anniversary of the first shovel digging the canal in 2017 during the World Canals Conference in Syracuse, New York. The dig took seven years. Will the 2025 observation of Erie Canal’s completion include advanced methods for removing plastic in all forms, including microbeads, from the canal’s flow into the Atlantic Ocean? Arifeen, Mohammed. “Kachhi Canal: Mega Irrigation Project Set to Bring Green Revolution to Baluchistan.” 25 September 2017. Pakistan & Gulf Economist. http://www.pakistandeconomist.com/2017/09/25/kacchi-canal-mega-irrigation-project-set-bring-green-revolution-balochistan/. China Daily. “Main port of call on old maritime Silk Road.” 6 November 2014. China Daily. http://www.chinadaily.com.cn/regional/2014-11/06/content_18879787.htm. League, David. “On an Ancient Canal, Grunge Gives Way to Grandeur.” The New York Times. 24 July 2007. http://www.nytimes.com/2007/07/24/world/asia/24canal.html. Schmidt, Christian, Tobias Krauth, Stephen Wagner. “Export of Plastic Debris by Rivers into the Sea.” 11 October 2017. Environmental Science & Technology, Volume 51, Issue 21, Pages 12246-12253. DOI: 10.1021/acs.est7b02368. http://pubs.acs.org/doi/pdf/10.1021/acs.est/7b02368. Sherpao, Aftab Ahmad Khan. “Presentation on Water Sector Development.” 18 March 2004. http://siteresources.worldbank.org/PAKISTANEXTN/Resources/Pakistan-Development-Forum-2004/WSD.pdf. United Nations. “Communities of Ocean Action.” https://oceanconference.un.org. Xinhua. “How one key trade port on the Maritime Silk Road changes the world.” 19 April 2017. http://www.xinhuanet.com/english/2017-04-19/c_136218583_2.htm. Innovation is inclusive. “Book of the Hours” 15th century, image: wikimedia. Transport may be changing faster than any other area of rebuilding on the planet. Water resources are not advancing as much as become more precious. Energy is running ahead as quickly as possible while still panting from pollution from old forms of fuels. Cities enact laws to improve civilization faster than countries, but the sheer numbers of people (75% of the world’s population will dwell in cities by 2050) involved means both major impact and relatively slow adaptation. But transport is fast to change. Each era of history can be said to be signaled by a new form of transport: ships giving way to trains, giving way to roads, giving way to flight. Now we may be in a new era still. All of the innovations we will see in the future will need to address the environment. Pollution from cars is clearly a serious and pressing issue. Shipping and aerospace have responsibility too. With rebuilding transport for a cleaner environment, and a more connected world, it might be hoped that future engineering will be more inclusive. By this term, inclusive, it is not to say just that there will be many workers of all kinds building cars, or trains, perhaps cooperatives in many languages and disciplines too. Inclusive may be interpreted as a broadening of scope, so that decisions about roads and about forests. Or decisions about canals are about lands, and waters. With nature as a partner, best innovations could lead to both advancement and sustainability. Innovation in response to vehicular traffic may include specialized cars and buses, as well as bikes and pedestrian greenways, welcoming those previously prohibited. Innovation in every industry will also be inclusive of the environment: emissions mitigation in every form of transit, from ships to cars, trains to planes, is the leading edge of engineering design. Including the environment means accepting the wider circle of nature, with humans in the middle of the circle, perhaps by reason of the exploring hand, but in a circle that firmly includes all forms of life. Finally, innovation may prove to be about the evolution of rights, balancing inequities by bringing roads to lands without access, power to those with none. In so doing, will the rights of those near the new become the basis of advanced innovation? Will the circle of influence include nature? From the Silk Road to the Silicon Road, transport is exchange. It is the mingling of music in the caravanserai, now streamed in the cloud of sound. Transport is why we have fusion cuisine, and the spread of new ideas. Where will transport take us in the future? Surely upward, as space technology accelerates. But what happens here on earth may determine the destiny of the planet. Transport contributes 27% of the climate-crushing emissions in the United States where 90% of fuel used for transportation is petroleum, both gas and diesel. Improvements in the environmental efficiency of transport will go a far way to changing the planet’s prognosis. It’s true globally. A recent study in Germany found that environmental costs associated with a heavy goods vehicle versus an electric freight train would drop by 90% in the choice of the latter. Rebuilding may be worth the cost. Another point in praise of transport. By definition, transport is an interlocking industry. Standards are shared quickly; design and production adapt to new technologies and new standards. Because advances spread so quickly, transport demonstrates potential to improve the environment through cooperation of industries. Perhaps not since the medieval craft guilds has industry had the power to set standards that shape the future. Did you ever wonder about names like Miller, Carter, Potter, Wright, Smith? In medieval times, people were migrating from living as feudal serfs, moving to the sprouting cities and looking for work. As a result, learning organizations called craft guilds developed. New industries were born. For the first time, people began to call themselves by their work (Miller, Smith) not by their father’s name (John-son or William-son). Identifying by your work rather than by your birth may be one of the change points of civilization. Identifying with your work – you are what you do – meant professional certification. To be a Miller, you had tone a miller. To teach, to certify, and to support a blossoming industry within a region, craft guilds developed. In a formal system with measurement and innovation baked in, the craft guilds standardized knowhow and values. Guilds taught how to work with innovations such as the mill for grinding grain that could produce bread (Miller), or to tame metal and fire to shape and forge instruments: Smith. It is noteworthy that Smith is dominant surname in the United Kingdom, where the term originated, as well as Australia, New Zealand, and the United States, and second most common name in Canada. Smith is also the most common name in regional language terms in most of Europe: Fabrri, Ferraro, Lefebvre, Farber, Ferreira. Beyond Europe, the Syriac Haddad; the Punjabi Lohar. Smith – the maker. Guilds may be an ancient model of the learning organization, combining education and jobs. Image of a smith at work: wikimedia commons. Smith – it’s a name so ubiquitous as to be a cloak of invisibility. For example, one adopting a secret identity might use ‘John Smith.’ The name of Smith was so popular that it even became slang: Native Americans are said to have used the word as kind of lingo when talking about dealing with colonists. To call yourself by your work is a shift in identity from family to skill identification. But being part of a profession was really like being in a family, too. Guild apprentices trained with a school or master, often for seven years, before certifying as a provisional craftsperson. Some apprentices even lived with their master, oft sleeping on the kitchen floor near a warm stove. After years and practice, a kind of graduation anointed the learner as certified to embark upon a journey, traveling to study with different masters, learning a wide variety of professional approaches. Finally, the learner returned to demonstrate what had been learned, qualifying as a master, able to open a business – and – take on apprentices. It was a learning system that educated, developed, cross-trained, and supported the entrepreneurial power of its members, creating a pipeline into the future. It was not just a personnel pipeline, although that was one of its purposes; the guild served to embed best practice right into the manufacturing process. In some current parlance, “baked in.” It was continuous improvement. Industries, crafts, know more about their capabilities than any government. Indeed, some industries are so far beyond mere nations that they not only should but must set their own standards for excellence and environment. Such industrial and craft responsibility might be particularly applicable to transport: where some sectors reach far beyond the national, or even the regional. Aviation and shipping, for example, are global. So are satellites and the internet. Could some aspects of the ancient societies of craft help to lead the future of our broadest industries? Industries might adopt the model of the guilds forming knowledge centers. An ancient example: the École des Ponts et Chaussées, that trained bridge and road builders. In European medieval times, skills like bridge building were cutting edge technology. When London Bridge sought a master builder, after the death of project originator Peter de Colechurch who began the feat in 1176, a kind of search committee recruited Isenbert, a French engineer with experience in stone construction. His training? at the Ecole des Ponts et Chausses. What can come from combining education and jobs? Application of know-how to economics. For example, Isembert: the bridge builder had a genius not only for construction but for financing. Isembert proposed to King John a way to finance London bridge that may have been the forerunner of our modern shopping mall. Isembert sketched a span featuring pedestrian lanes and sidewalks lined with shops. Shop keepers would pay a fee for the space. The fees would support the bridge. The King’s letter of authorization for London Bridge states “rent and profits” from the bridge be used for building and for maintenance. The École continues today. Marsamxett Harbor, Malta. Image: wikimedia. Another guild organization combining education and jobs may be the International Maritime Law Institute (IMLI), shipping industry ‘s center for international maritime law. Located on Malta, the study center opened in 1988, and is run by the International Maritime Organization. It’s specialized industry-related education that includes shipping, marine environment, and law. Degrees are offered: Ph.D., LL.M., along with short course advanced certifications. Reminding us that 70% of the world’s goods are transported through water, one of the industry’s international conventions, adopted in 1978, entered into force in 1984, amended in 1995 and 2010, the Standards of Training, Certification, and Watchkeeping (STCW) teaches a dual responsibility for safety and environment. What if it goes beyond an industry to a interlinked system? How do roads and bridges connect to shipping? The University Alliance of the Silk Road (UASR), headquartered at Xi’an Jiaotong University (XJTU), exchanged a pai bian and MoU signed on 9 April 2016 by XHTU President Wang Shuguo and WashU Chancellor Mark S. Wrighton. Wrighton, formerly Provost of MIT (1990 – 1995, and before that professor from 1972-89), won a MacArthur ‘genius grant’ in 1983. UASR is the academic branch of the New Silk Road initiative, founded on 22 May 2015, as an alliance of over 100 universities in more than 30 countries on five continents. through international higher learning platform. Guilds were unique in their sponsorship of outdoor spring performances, plays depicting popular stories. In the spring, when the first markets opened, everyone gathered. It was a great time for fairs and entertainment. It was also great time for business. People in town, with money to spend, opened the market for entertainment. It was spring: outdoor theatre was easy to stage, using the corners and towers of the town’s street. At first, these pageants were sponsored by churches, clerics playing the roles in spiritual stories. But soon there came a censure on clerics playing certain roles. Crafts stepped in. It would be good theatre, and good advertising, for the local baker’s guild to sponsor the scene of Loaves and Fishes, for example. Some might even say that such a pairing could inspire the highest inspiration. The medieval Mystery Plays came before Shakespeare, but historians might consider spring festival stories, enacted by small businesses, perhaps in concert with the great cathedrals and local churches, prepared fertile the ground for theatre. Guilds also sponsored art, for example the statues of the Orsanmichele in Florence where the Silk Merchant Guild (Arte delia Seta) commissioned Baccio da Montelupo, who studied at the same school as Michelangelo, to sculpt the statue of St. John the Evangelist in 1513. (Sadly, the real statues were removed for safety against vandalism and replaced by duplicates. The real ones are in the Orsanmichele museum, on the upper floor of the church.) Today’s industries have an opportunity to commission and sponsor public art. What are some of the expressions that might be pursued? Can the public good be fun? South Africa’s Capetown suffered a water shortage in 2018; one response was commissioning of two-minute songs, free for download, for listening to while taking an environmentally-timed shower. Another unique innovation of the guilds was charitable care of its members’ health. If a guild member were injured or killed in the line of duty, the family would be taken care of. The guild also cared for the poor of the community and town. It was an early form of insurance. In an era when health care might in some places see change from national coverage to private insurance, might there be a resurgence of industry-sponsored programs. Guild members contributed to a fund that helped pay for the set of tools given to a graduating apprentice, enabling that graduate to journey and work in other shops, bringing their own equipment. Funds might also be available to the returning journeyer when they returned to the guildhall where they received their certification. Now, they performed their capstone – a demonstration of the craft enhanced by skills learned on the road. Upon satisfactory acceptance, the craft learner became a craft master, helped to start their own business with a guild small business loan. Adding entrepreneurship to industry education and job training may contribute to innovation. Transport is an interlocking system: ships with ports, for example. Interlocking industries require advanced educational, environmental, and legal development. For global industries, like shipping or aviation (to name a few), guilds may prove a useful model as a learning system of education, jobs, and innovation. Because transport is about from here to there, it is a natural force of that which unites us. How can transport help us realize our cooperative union encircling our home, our earth? Can transport serve our great ability to connect? Is there a road for unity, and peace, in transport? Barlow, Lawrence H. The Reference Guide to Famous Engineering Landmarks of the World: Bridges, Tunnels, Dams, Roads, and Other Structures. Oryx Press, 1998. IBSN: 1579580920. Ebook 2015, ISBN: 9781315062167. Brentano, Lujo. “On the History and Development of the Gilds, and the Origin of the Trade Unions.” Early English Text Society, 1870. For a digital version by University of Toronto, Robarts Library: https://archive.org/details/onhistorydevelop00brenuoft/. Epstein, S.R. “Craft Guilds, Apprenticeship, and Technological Change in Preindustrial Europe” The Journal of Economic History, Vol. 58, No. 3 (September 1998), pp. 684-713. http://www.jstor.org/stable/2566620. Davidson, Frank P. and Kathleen Lusk Brooke. Building the World, pages 91-92. Greenwood: 2006. Edumaritime. “IMO International Maritime Law Institute (IMLI) – Maritime Law Education and Research.” https://www.edumaritime.net/malta/imo-international-maritime-law-institute. Edumaritime. “What is STCW and Why Do You Need It? – Introduction to the Convention.” https://www.edumaritime.net/stcs/what-is-stcw-an-introduction. Viewed 6 February 2018. The Chinese language is among the most ancient, and perhaps most developed, of thought-systems. Linguists have observed that the Chinese word for “crisis” in logograph script is an intersection of two elements. Wēijī does mean crisis and the first syllable, wēi, means crisis in the sense of “danger.” Much has been made off the second element, jī. Some have said it means “opportunity” but that is understating: rather, it means “critical moment” and that moment is “when things are about to change.” Nuances of meaning include: “germinal principle,” “pivotal junction.” (Mair, 2009). Perhaps those who study the I Ching, or Book of Changes, would see parallels. Crisis may be among the most effective triggers of innovation. But opportunity is even more of a lure. Problems in the transit sector are apparent. 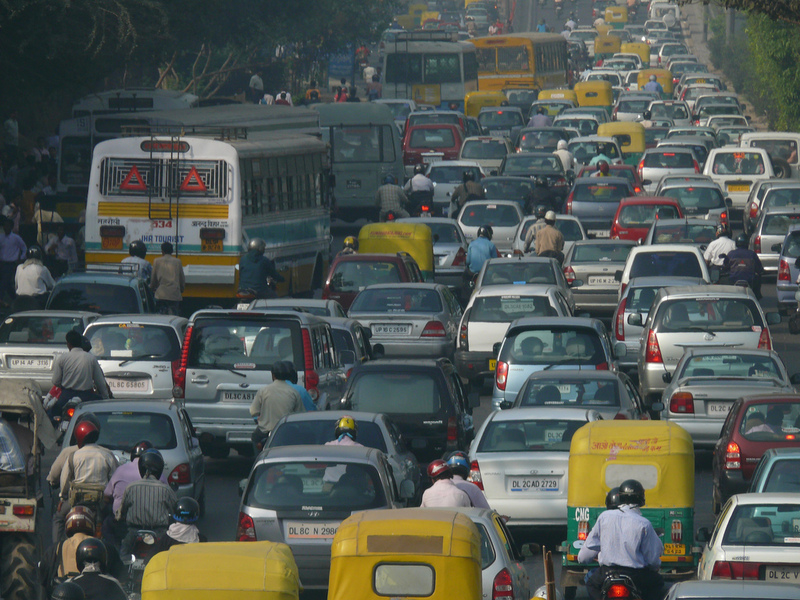 Traffic results in time wasted, pollution from idling cars, and urban bottlenecks. Worse, highways are the scenes of fatalities and injuries. Moreover, existing roads, bridges, city streets, and rail routes are in various states of disrepair, furthering dangers. Shipping and aerospace are not without problems. Are there, within these problems and crises, germinal principles and pivotal junctions? How do problems lead to innovation? Mair, H. Victor, Professor of Chinese Language and Literature, “Danger + Opportunity: How a misunderstanding about Chinese characters has led many astray.” University of Pennsylvania, 2009. http://pinyin.info/chinese/crisis.html. Charging stations – an example of transport interoperability. Image: wikimedia commons. Transport may show more potential to adopt emerging innovations quickly, through marketability. For example, autos that run on electricity and run without drivers are quickly taking over the traditional car market. Canals widen to accommodate wider ships, that widen to carry more cargo. Because markets open more quickly to standards of interoperability – gas pumps have to be the same along a route, charging stations have to have universal connectors – transport may be a faster means of change on a regional, or global, scale. One change that may help to facilitate: common measurement scale. When will the United States join the metric system? Nations may set guidelines for emissions but the environment is not a national phenomenon. Building upon the tradition of the guilds, among other organizational methods, perhaps transport may be the key to large-scale, and rapid, response to climate change. Macro systems, such as may be found in transport, are particularly suited to transformation. Macro solutions may be uniquely suited to certain transport innovations, because of the distance involved and also because of interoperability along that distance. A road, for example. A system of filling or recharging stations, for example. Lane definition, for example – with some parts of a highway to be shared with trucks and cars (New Jersey turnpike) while other lanes are for cars only. Why not lanes for driverless cars? Could continental routes, such as the Trans-Africa Highway Network, become a model for electric highways with autonomous vehicles, lighting charging stations powered by solar installations? Should a greenway ride upon the shoulders? Ionity, in Europe, is a charging station network funded by a partnership of several automobile makers: could a similar model transform Africa? Or other macro highway networks like the Trans-Siberian? Recalling the integrative power of the Grand Canal, what are the possibilities for the new Silk Road, integrating maritime and land-based connection? Every era of human history may be characterized by its unique innovations in transport. Wheels led to roads. Continents connected by canals and railroads. Waves beckoned ships and sails. When the world advanced from sea to sky, aviation changed relative distance from miles to hours. In our current era, might the Internet be considered the newest form of transport? “Human history is a history of connections.” Edward Deng, Huawei. Image: iPhone, wikimedia. The first phones were bulky bricks lugged by military warriors in need of a talking GPS; now many places in the world have wireless connections but not yet basic systems like water or electricity. More people have a cell phone than a toilet. What will the future hold for transport? Internet devices, moving to the instant speeds of 5G, may open an era of leaps, without bounds. A selection of imperial decrees from the Sui dynasty and the Mongol period relating to extension and renovation of the canal. From: The History of Chinese Emperors, by Ruifang Liu, National Defense (Guo Fang) University Publishing House, pp. 304-305. From: The History of Yuan, by Lian Song; China Book Bureau, (April 1976), Vol. 64, p. 1593. The building of this canal started in the spring of 1292 and was completed in the fall of 1293, and it was granted by the emperor the name Tonghui. From: The History of Yuan, by Lian Sung; China Book Bureau, (April 1976), Vol. 64, pp. 1588-1589. Following are imperial decrees, selected from several dynasties, relating to extensions and preservation of the canal. The Tang dynasty was long gone, and the Sung dynasty was withering, when a conqueror from Mongolia became the new Son of Heaven. Kublai Khan, now emperor of North China (Cathay), in 1260 chose a site for his capital. Khanbalik – the khan’s city – had been the capital of a small kingdom, and would eventually be named Peking. In years of fighting, the Mongol armies had pushed the Sung emperors into South China (Manchi). At the lower end of the Grand Canal, the Sungs had transformed a fishing village on the Chientang River into the lovely city of Hangchow. Kublai Khan was full of plans and energy. South China had to be conquered by his generals, for the North needed its tribute grain. The granaries his troops had burned had to be rebuilt. The Grand Canal had to be restored to carry the grain north, and the roads built to move his armies quickly to suppress any rebellion. Kublai’s trust was rewarded. Kuo Shou-ching completely rebuilt the Grant Canal, rerouted the northern half, and extended it into the khan’s new city. He channeled creeks through Khanbalik to provide water for the citizens and artificial lakes for the emperor. Kuo brought water from the Jade Spring at the north, through several small regulating lakes into a moat around the city walls. A conduit from the rampaging Yungting River on the west helped to tame that stream, and brought more water into the moat. The moat drained east through Tunghui Canal, the final lap of the Grand Canal of China. Now grain barges could dock inside the imperial city. From: The Grand Canal of China, by Lyn Harrington. New York: Rand McNally, 1967. The work of combining the sections of the Grand Canal was done by the Sui dynasty (+581 to +618) when the need to link the capital at Loyang with the key economic area of the lower Yangtze valley became imperative. In the last decades of the +13th century, under the Yuan emperors, the same need continued, but as the capital was now Peking, a vast remodelling of the canal was carried out, so that it finally from Hangchow in the south to the furthest northern parts of the North China plain. In order to visualise this major work in its final states, it is only necessary to remember that it covered 10 degrees of latitude, and would be comparable with a broad canal extending from New York to Florida. Its total length attained nearly 1,100 miles. Its summit, reached when skirting the mountains of Shantung, was some 138 ft. above sea level. On Lu Kou canal — part of the Grand Canal by the Yuan emperor, just a couple of decades of years before Hu Pi Lieh. From: The History of Yuan, by Lien Sung; China Book Bureau, (April 1976), Vol. 64, p. 1593. In 1291, water conservancy director Shou-ching Kuo implemented Hu Pi Lieh’s imperial orders to undertake large-scale water conservancy projects because the emperor (Hu Pi Lieh) accepted his suggestion: “dredge Thung Chou to Ta Tu river, lead the muddy water to irrigate, draw clear water from the Old sluiceway, north from Shen Spring in Pai Fu village of Ch’ang P’in county, to turn southwest, passing the river of Shuang T’a, Yu He, Yi Mu and Yu Ch’uan, to enter the capital through Hsi Shui Men. Waters in the south will be merged into a cistern or reservoir. The canal will run southeast through Wen Ming Men, reach Thung Chou Kao Li Chuang in the east and go into Pai He river. Its total length will be 164 Li & 140 Pu. There will be 12 places of clear water, 310 in length, 20 sluice gates in 10 different places. The canal will save water and provide waterway, which will really benefit people.” The building of this canal started in the Spring of 1292, completed in the Fall of 1293, and it was granted a name by the emperor Thung Hui. From: The History of Yuan, by Lien Sung; China Book Bureau, (April 1976), Vol. 64, pp. 1588-1589. From: Tzu Chih Thung Chieh by Ma Ssu; Yueh Lu Books Association, Vol. 180, p. 342. In 1289, “Kuo Shou-Ching applied to build Yu Chhuan Shui to dredge the waterway and the canal of irrigation. From: Lian Song, comp., The History of Yuan, (Shanghai Chinese Books Bureau), 1976, 64:1589-1590. In the same year (1289), the Emperor (Hu Pi-lieh) approves it. From: Ruifang, Liu, The History of Chinese Emperors, National Defense University Publishing House, n.d., 614. Water Law of the People’s Republic of China (1988), revised in 2002. Article 1. This Law is enacted for the purposes of rationally developing, utilizing, conserving and protecting water resources, preventing and controlling water disasters, bringing about sustainable utilization of water resource, and meeting the need of national economic and social development. Flood Control Law of the People’s Republic of China (1997). Article 1. This Law is enacted for the purpose of controlling floods, guarding against and mitigating damage done by floods and water-logging, preserving the safety of people’s lives and property, and ensuring the socialist modernization drive. Article 37. Aquaculture and planting in the water area of a port is prohibited. Excavation, demolition and other activities in a port area that may threaten port safety are prohibited but where such activities are really needed for construction or other purposes, the necessary protective measures for safety shall be taken and the activities shall be reported to the administration authority for approval; and where, according to the provisions of the laws and administrative regulations concerning waterway traffic safety, approval by the maritime administration authority is required, such activities shall, in addition, be reported to the said authority for approval. Dumping of soil and sand and stone into the water area of a port and discharging of noxious and harmful substances in excess of the specifying norms in violation of laws and regulations concerning environmental protection are prohibited.